Credit, debit cards, play cards, or greeting cards. They are all in demand and widely used items. The .cards domain is suitable for sites related to debit or credit cards and sites selling cards, no matter whether they are electronic, printed, hand-made, or made for charity. Another application of this domain is for selling play cards or for online card games. 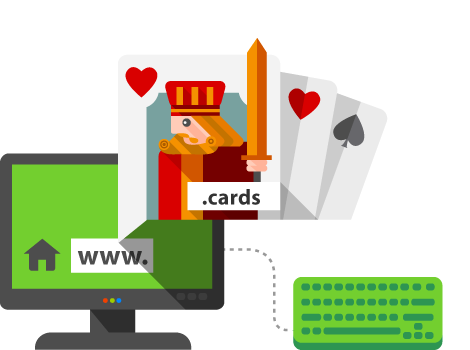 If your site has to do with greeting cards or play cards, register your .cards domain right away!